Welcome to Accident Claims Advice for Newcastle. We are a law firm made up of specialist personal injury solicitors and advisors with many years experience of successfully claiming compensation for our clients in Newcastle and throughout the UK. We offer all Newcastle clients our personal injury service on a No Win No Fee basis so get in touch on 0800 6524 881 if you’re currently considering a claim. Our legal team for Newcastle will start off by offering a free consultation over the telephone with you so that we can offer free legal personal injury advice about whether you have a valid claim and whether we can proceed on a No Win No Fee basis. Newcastle road traffic accidents – we’ve dealt with complex accidents as well as straightforward whiplash injuries. Sporting personal injuries either as a spectator or a participant. Accidents in public places in and around Newcastle which weren’t the clients fault. Head, back, leg, arm or upper body injuries. Injuries caused to pedestrians where a car or bike were involved. Sub-contractor or self-employed injuries in a workplace. 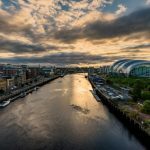 Our personal injury solicitors for Newcastle-upon-Tyne have dealt with many more types of accidents than we can list here, these are just some of the most common. If your accident isn’t listed don’t worry – we can still take it on if we can prove that it occurred because of somebody else’s mistake, negligence or breach of procedure. For a claim to be successful we need to gather evidence that backs up your claim so we’ll start by taking your version of events. Following that we will make contact with any witnesses to take statements from them to corroborate your claim (this can include the Newcastle police if they visited the scene of your accident). As well as witness statements we gather medical records from your GP or the hospital depending on which you had to attend. Once we’ve gathered all of the evidence we believe we need we will make contact with the third party, or more usually their insurer, and file the claim on your behalf. We’ll work directly with them to answer any queries they raise about your accident. Usually these queries are minimal as we’ve taken the time to put together a well prepared file up front. Most insures want to finalise a claim as quickly as we do and appreciate working with efficient personal injury solicitors. One thing to state is that it doesn’t matter whether your accident was in Newcastle or elsewhere we will still help you claim. Once they’re ready they will make contact with an offer of compensation which we’ll advise you of and advise on your next steps. What Length Of Time Will Your Newcastle Claim Take? All personal injury claims in Newcastle or elsewhere will generally take two or three months upwards, however we will be able to advise you more accurately on the length of time your claim might take by speaking with us so we can assess what has actually happened. We can assure you though that we always deal with our side of a personal injury claim in a prompt and efficient way so that insurers aren’t waiting for us at any point. If there are any queries raised by the insurer then we will get back to them with the answer in good time and we guarantee to keep you up to date with any delays that we become aware of. What Amount Of Accident Compensation Will You Get? We can’t usually tell you accurately at the start of an accident claim what amount you’ll receive until our personal injury solicitors Newcastle have got more information from you and understand the elements we’re claiming for, then we shall be able to advise you of the figure we’re hoping to receive on your behalf. This is the same for anybody in Newcastle or anywhere else in the UK. There are two parts of every claim that our personal injury solicitors for Newcastle make. The first part is for your actual injury, how severe it was and if it’s cured or likely to be life-changing. Once we’ve agreed about it with the insurer the amount is calculated by a formula and is quite straightforward. The second part of the claim is for actual costs incurred because of the injury and can include loss of earnings (as well as potential loss of earnings), travel costs, parking costs and costs of prescriptions and other medical treatments you have paid for. Also we’ll look at claiming for any damaged property like clothing, spectacles, crash helmets, watches or mobile phones that needed replacing or repairing because of the accident. Our team are available now to deal with new Newcastle personal injury claims so please get in contact to start your claim.